A weird thing has happened at Lincoln over the past couple months or so. For years, car people derided the brand for its incomprehensible model names, general lack of relevance, unappealing designs and propensity to stick nice leather into some Fords and call it a day. “Be more like Cadillac!”, we screamed. But Cadillac’s looking rough these days, and some of the new Lincolns are seriously eye-catching. 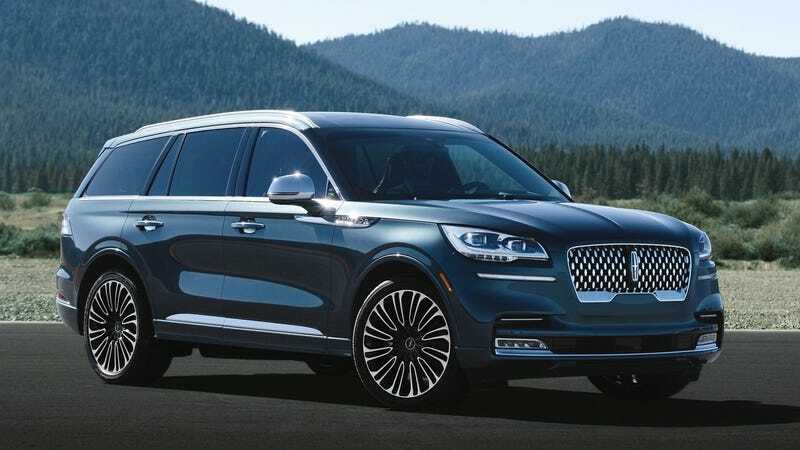 That includes this new 2020 Lincoln Aviator, a very stylish three-row SUV that’ll set you back at least $50,000. Lincoln’s configurator for the Aviator went live this week and it lists the starting price as $51,100, minus the mandatory destination fee. That nets you 450 horsepower from a 3.0-liter twin-turbo V6, rear-wheel drive because it’s on the new Ford Explorer platform, modern active safety tech like emergency auto braking and pedestrian detection, a 10-speed automatic transmission and, dare I say it, one of the better exterior designs currently found in the SUV world. Going Black Label gets you pretty loaded, with a 28-speaker sound system, a HUD, a panoramic roof, the advanced Lincoln Co-Pilot360 Plus safety suite, fancy leather everything and more. Sure, the upper-trim Aviators aren’t cheap, but the prices still undercut the European competitors by a good amount. And I suspect a lot of buyers will keep theirs in the $60,000 to $70,000 range, which isn’t bad at all for what you get here. It’s definitely more impressive inside and out than the competing Cadillac XT6 that failed to impress anyone at the Detroit Auto Show last week. I dig this new Aviator, and I look forward to seeing how it drives. I just wish it had coach doors. Why Do Car Companies Let Hefty Dealer Markups Happen?